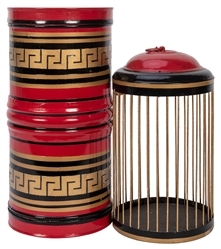 Lot Detail - Roberta & Marion’s Birdcage Canister. Roberta & Marion’s Birdcage Canister. Byron, Roberta. 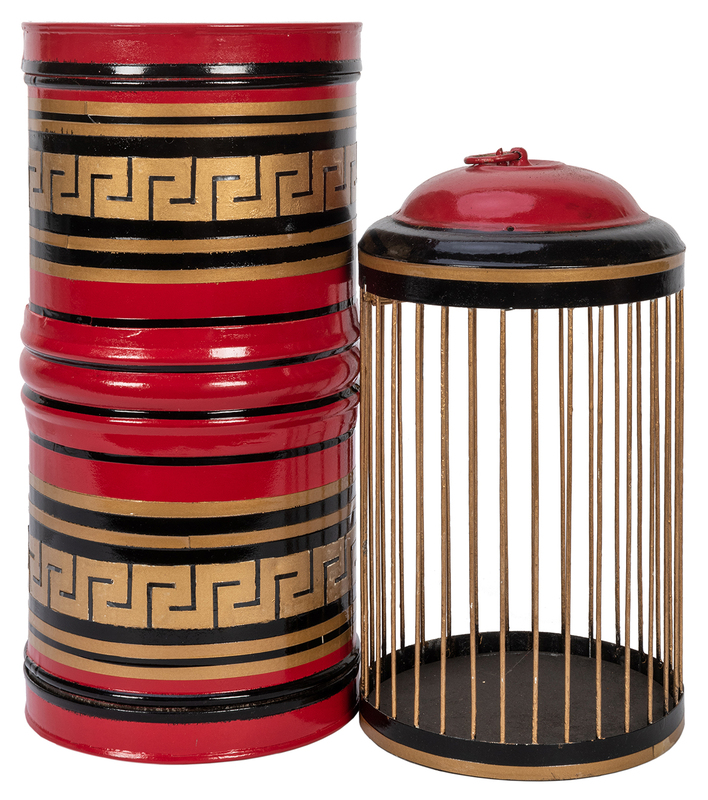 Roberta & Marion’s Birdcage Canister. An empty canister suddenly fills to overflowing with bran or confetti, which then changes into a metal birdcage complete with live inhabitant. 10 ½” high. Handsome model with unusual extra lid fake, brightly painted.